Fall marked the release of three long-awaited games: Persona 5 released in Japan and is now my main Japanese study tool, the delightful World of Final Fantasy and the very recently released Final Fantasy XV. Other than having some of my most anticipated games come out, I'm also really pleased with the amount of new JRPG worlds I explored in Fall. I had a silly curry adventure with Sorcery Saga, deferred moves and made relationships in Lost Dimension and tried multiple Indie JRPGs that all were very different. All these games left me with a really optimistic feeling coming into Winter, particularly with the release of Final Fantasy XV. Here's my list of what I played in Fall, feel free to let me know what you played too! Status: Only a couple of hours in as of writing this. Hoping to sink A LOT of hours into it! I've barely scratched the stunning surface of Final Fantasy XV, but what I've played was certainly satisfying. I'm amazed by its giant looking world and while I'm a JRPG fan at heart, I love how it's so far a nice combination of the good parts of WRPGs such as choices and open worlds with typical JRPG’s skill trees, stat-building and unique dialogue. I haven't played nearly enough to give a full opinion, but I hope I remain this positive about it throughout my time with. Revere serves as a great indie cherry on top of my Fall gaming season as one of the last games I played this season. It was an enjoyable 45 minute experience that involved talking rabbits and bears, sprites and a surprisingly emotional twist in its story. The version I played had some grammar errors and a lack of tutorials, but the new version on Steam fixes a lot of what I talked about, so I recommend checking it out if you think it looks interesting! You can read my First Impressions here! If my JRPG Appreciation Post didn’t get this message across, let me say it now: I love World of Final Fantasy. It may even be one of the best games I’ve played all year. It combines so many things I love from Final Fantasy and other JRPGs: monster hunting, interesting evolutions, the Final Fantasy battle system and a quirky story mixed in with many characters I love and many new ones that make me want to get to know more about them and their respective games. 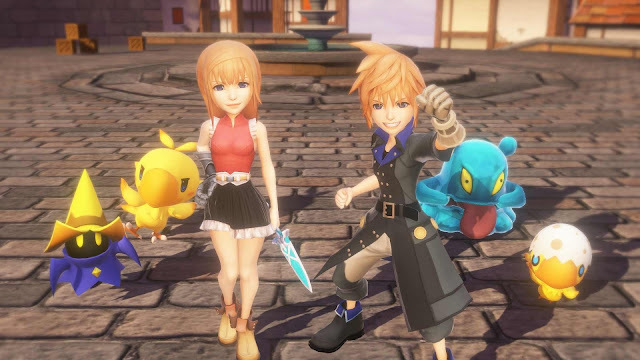 I’ve been a fan of plenty of games that combine Final Fantasy characters from various series, whether it be Final Fantasy Record Keeper, Final Fantasy Brave Exvius or even Kingdom Hearts, but World of Final Fantasy is pretty much a perfect tribute to the series so far and I really don’t want it to end. Planning to platinum it! 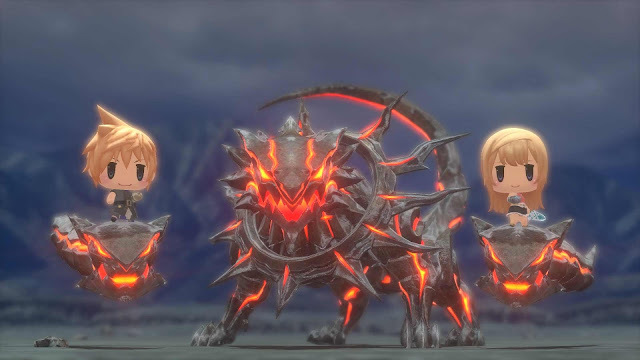 Check out my post about World of Final Fantasy's awesome stacking mechanic here! While I'm not playing the full version of Pokemon Sun and Moon like most JRPG fans, I did take a peak at the gameplay with the 3DS demo. To my delight, the Japanese demo included the English language version so I was able to play my absolute best. While the demo is played with an OP Pokemon, I enjoyed seeing how far Pokemon had come since the last full Pokemon game I played. 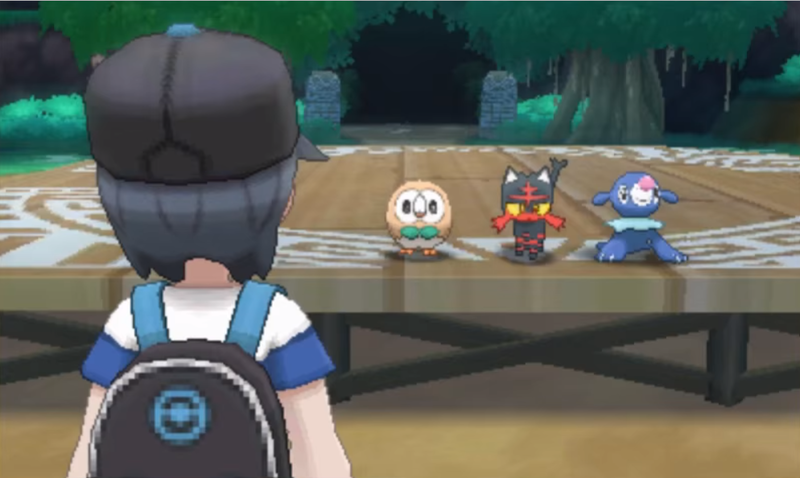 The Alola Region looks beautiful and I like the idea of the challenge system rather than versing gym leaders. I'd like to revisit Alola in the full version sometime, but with all these Final Fantasy games to play, I may be a little while. You can pick up the full version of Pokemon Sun and Moon from Play-Asia.com or download the free demo from the Nintendo e-Shop! I played Light Fairytale thanks to noticing the adorable 3D-sprite character designs when the developer tagged me in a Twitter post. I honestly checked Light Fairytale based on the cuteness of its sprites, but I was pleasantly surprised with an interesting little demo experience. While I haven't finished Final Fantasy VII, I have played Crisis Core and I can say the maps and music of Light Fairytale is reminiscent of Final Fantasy VII in a good way. The demo is pretty short, but it looks like an interesting story and world to run around in and I'll definitely be checking this out when it's released. 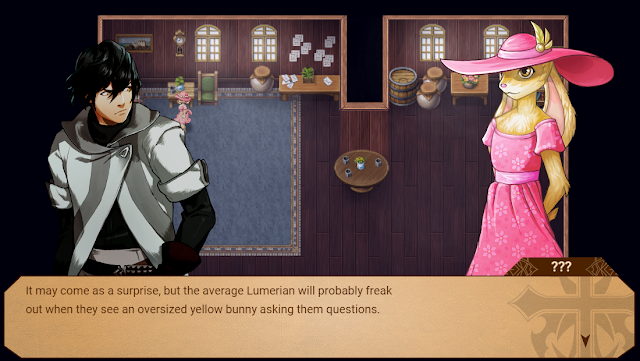 You can download a free demo of Light Fairytale at Gamejolt! Status: Finished the main story. Still eating curry multiple times a week. I downloaded Sorcery Saga a few years ago, played the first dungeon and jumped out because it wasn't what I was used to. 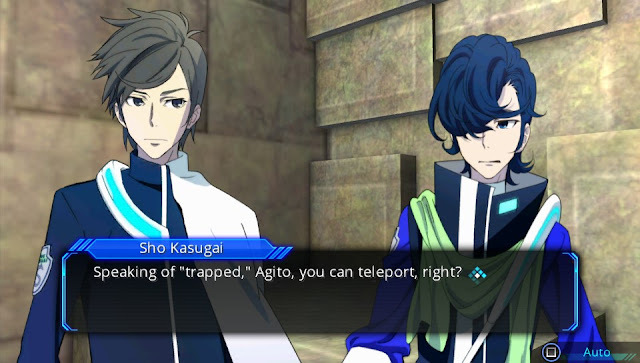 I decided to jump back in a month ago as I remembered it's quirky dialogue and after a few heavier games such as Lost Dimension and Fire Emblem: Awakening, I was missing silly JRPG humour. Sorcery Saga couldn't have been a more perfect game for this. Sorcery Saga: Curse of the Great Curry God is an extremely silly search for curry ingredients in a ruthless roguelike dungeon. As my first roguelike, I had to learn about item management and knowing what fights are worth it or not and had plenty of game overs, yet it was strangely a lot of fun. Now that I've finished it, there are a lot of things I miss about Sorcery Saga. 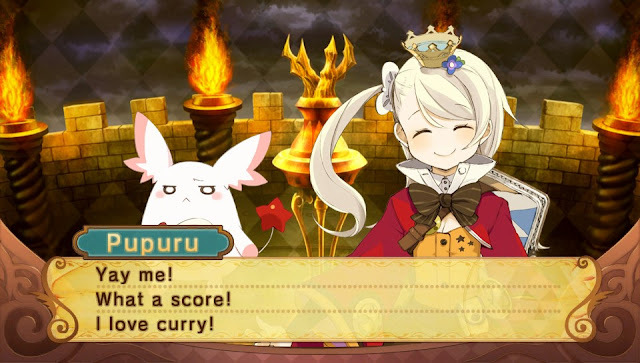 The silly jokes about curry and wannabe heroes gave me a lot to love about Sorcery Saga. In the next quiet gaming point, I’d love to try another silly game like this, whether it’s Neptunia or another series, for some more laughs and good JRPG times. If you know of a good, silly JRPG with interesting gameplay I might like, please comment and let me know! Check out my review of Sorcery Saga here! I really wanted to enjoy Dragon’s Crown. I’d heard so many good things about it, one of my favourite voice actors (Erin Fitzgerald) was in it and although the art style was different to what I was used to, it looked like a deep fantasy experience and I'm always up for trying something different. When I was looking through the character selection screen, I noticed the art style had a lot more….flesh than I was used to, even as a JRPG player. I’m far from a prude, but as I got into the first stop in Dragon’s Crown and noticed the zoomed in cleavage of the NPC, I realised I could not play Dragon’s Crown comfortably in the Starbucks seat I was sitting in. Or the train. Or any public place. I think most people don’t care what other people do in public, but for me I would rather play this at home without the fear of prying eyes thinking I'm doing something much more inappropriate than playing a video game. Since I’m not the biggest fan of beat-em-up side-scrollers, it’s not high on my priority list after this experience. 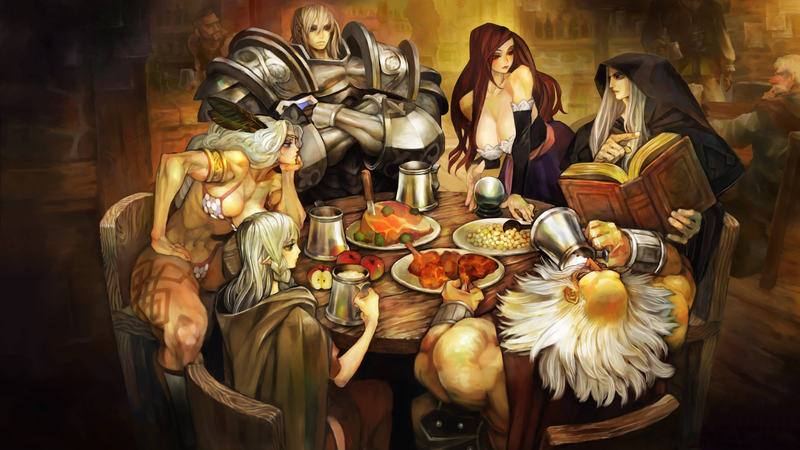 Let me know your experience with Dragon’s Crown in the comments below and if it's worth playing in the privacy of my home. Status: Played 40 hours, then started all over again to play slowly with a dictionary to understand the story. Almost at the second save point. 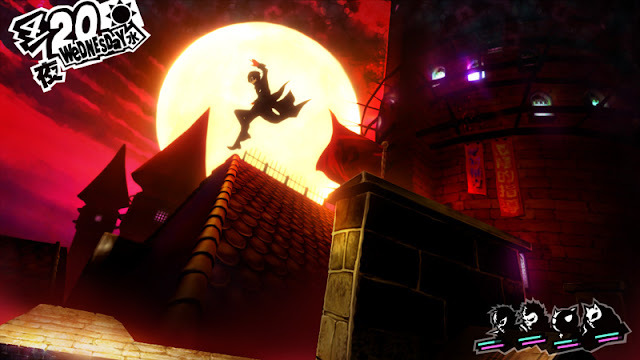 When Persona 5 came out, there was no question: I needed to play it, regardless of my Japanese level. I could sit here talking about how much I love the combat, how I love the delinquent main characters and how I think it somehow improves all the things that were already great in Persona, but the reality is after getting past the first dungeon, I’ve been slugging through with a dictionary and I'm barely through the first month again. Even if it's slow, this is probably one of the most engaging ways for me to improve my Japanese since I want to know every little thing about the story. I know it's gonna take me awhile and I'm okay with that as I'm also excited for the localisation in April. It's definitely a game to be excited for and the language barrier will definitely keep some surprise in store for me in April. Check out my first impressions of the Japanese version here! You can pick up Persona 5 in Japanese or pre-order it in English for PS3 and PS4 at Play-Asia.com! Status: Finished the main story, want to play again for the true ending. Lost Dimension was a nice way to fill my Final Fantasy XV delay void. I had a lot of fun with its Defer system, the magical gifts and the deeper side of the characters found in the social aspect of the game. The only problem is my experience feels a little incomplete since I didn't get the true ending and I didn't get to know some of my favourite characters (AGITO!) because well, they were pretty much randomly selected to die in my playthrough. I hope to come back to Lost Dimension next time a game delays and truly finish the game. If you want some suspicion mixed in with your JRPG experience, Lost Dimension is pretty interesting! 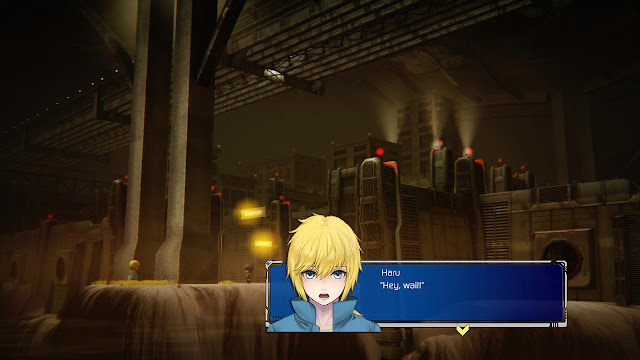 Check out my review of Lost Dimension here! I was super excited to try Mobius Final Fantasy, particularly since I was moving apartments as it came out. Only problem is that I didn't like it nearly as much as I expected and now it's just chilling on my phone taking up data because I feel bad deleting it. It's been announced for PC though and I'm keen to give it another try there. I thought it was too complicated and had too many tiny buttons for a smartphone game so I'm hoping it'll be a more comfortable experience so I can try the story out a bit more. Check out my Mobius Final Fantasy first impressions here! 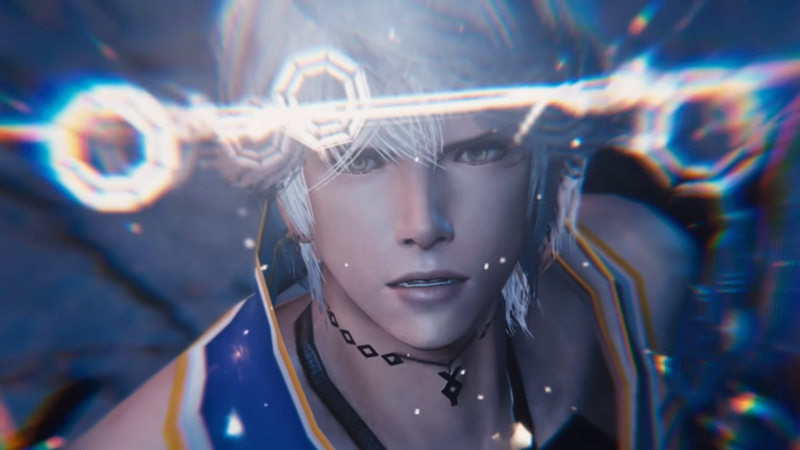 Mobius Final Fantasy is free and available in both the App Store and the Google Play store. I was pleasantly surprised when I booted up X-Tactics last month as it ran so smoothly it almost felt like a new game. The Gamkin team have obviously been working hard since I reviewed it as they've gone well beyond the version number I played during my review (they’re past version 20, I reviewed up to version 4.4) and it really shows. The gameplay has been slightly altered to remove some of the touch mechanics, but it actually makes the experience much faster and smoother. Speaking of speed, X-Tactics is downright zippy in the speed department. I used to try have 10 minutes aside for an X-Tactics game but I can fit an average mission into about 5 minutes now, which makes me really happy when I’m transferring trains. 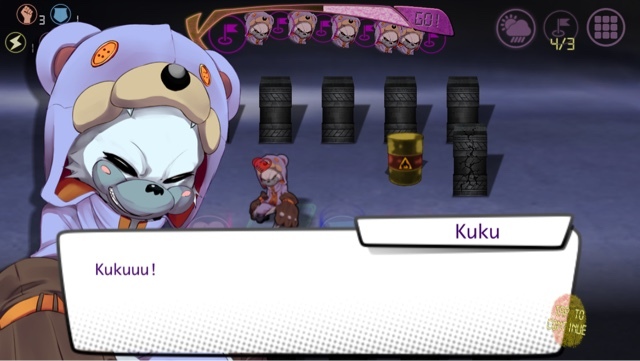 Also, I finally got my beloved Kuu thanks to free X-Coins and he's adorable. I’m really impressed with how far X-Tactics has come and will be sticking around as it continues to improve. X-Tactics is available for free on iOS and Android. While I had a lot of fun with Kingdom Hearts Unchained during it’s beginning no-AP campaign, I haven’t felt as compelled as I did with other mobile games to come back to it. I didn't play it much due to the slow moving story, but I did log back in for a few days during one of the recent no-AP events to try get further through the story. While I only get 10-20 quests ahead and didn’t find any significant story, Unchained is still fun, even if it’s a little repetitive. Check out my review of Kingdom Hearts Unchained X here! Kingdom Hearts Unchained X is available for free on iOS and Android. Brave Exvius is probably the mobile game I’ve been playing most recently, as its quests are fairly quick and I’ve been playing my Vita at work a lot these days. I had a few good draws from the random unit draw, including a 5-star Lightning but I'm more into the story than collection at the moment. While I’ve been playing extremely slowly, the story has great dialogue and I hope to get through it and I'm glad the charming characters are keeping me interested. Check out my review of Final Fantasy Brave Exvius here! Final Fantasy Brave Exvius is available for free on iOS and Android. When I got Digimon World Next Order, despite playing another game at the same time I was so excited that I had to try it immediately. One of my favourite games as a kid was the original Digimon World and when I saw how similar Next Order was in its trailer, I was filled with nostalgia. Next Order is currently only in Japanese so I had a little trouble understanding the new mechanics, but since it was so similar to what I played as a kid, I was able to have fun doing my first Digivolution and getting a Digimon to come to the city. 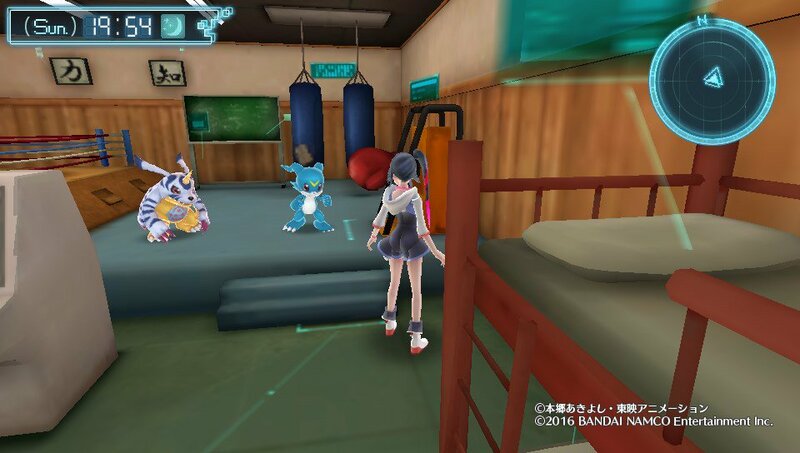 The only problem is I got a Veemon instead of an Agumon to hang out with my Gabumon and I'm very much an Agumon fan. I will have to fix this as soon as I get back in, but I don't know if I'll play before or after the localisation is released. 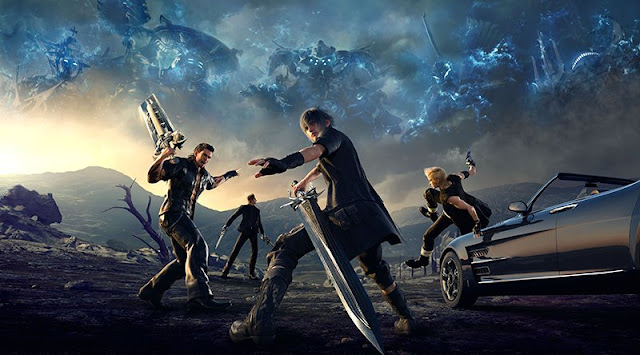 With Final Fantasy XV having just been released, my gaming plan is pretty simple: play Final Fantasy XV. I expect to be playing it at least until Christmas (but probably well after), so that will take a majority of my console gaming time. It's looking like I'm nearing the end of World of Final Fantasy in my portable gaming life and after that I have far too many things to play. I'm quite tempted buy Pokemon Sun and Moon, but I'm also tempted to pick up an older game. I did make one of my JRPG new year resolutions to play Final Fantasy VIII so that's an idea, but I also don't know how I feel about playing two Final Fantasy games simultaneously. I may try Hyperdimension Neptunia: Re;Birth1, but obviously I'm quite undecided. In regards to my Japanese gaming for my language studies, I'm easily going to be playing Persona 5 for awhile so I'll stick with that. I can't see myself finishing it with three months but I'm enjoying taking my time with it. What did you play last season? What will you play this season?